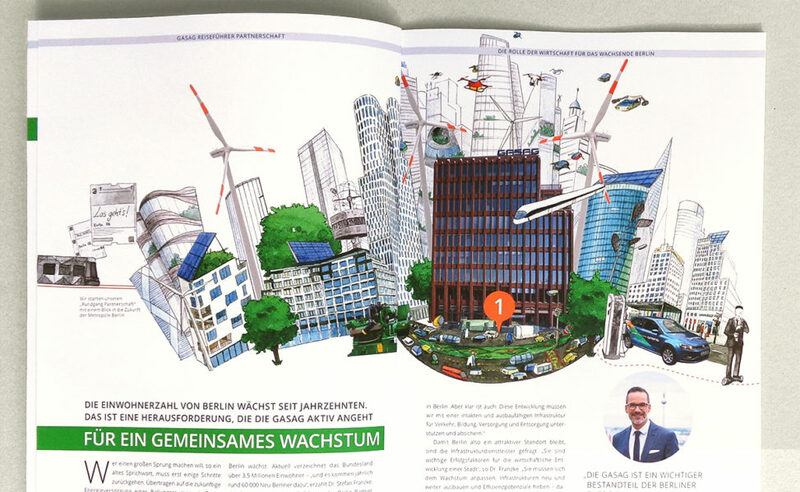 Cover and interior illustrations for the annual report 2016 with enclosed magazine of GASAG, energy company located in Berlin. Commissioning agency: IR-One AG & Co. KG. Technique: watercolor, China ink and digital collage.